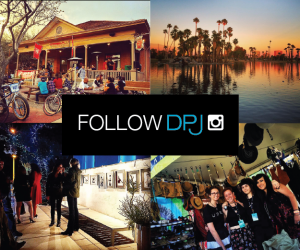 Last month DPJ visited a downtown building undergoing renovation for its new tenants in Warehousing ASU’s School of Art: Part One. 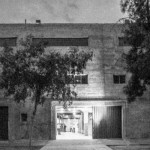 The second part of this story explores the warehouse’s history from the perspective of its owner, developer Michael Levine. 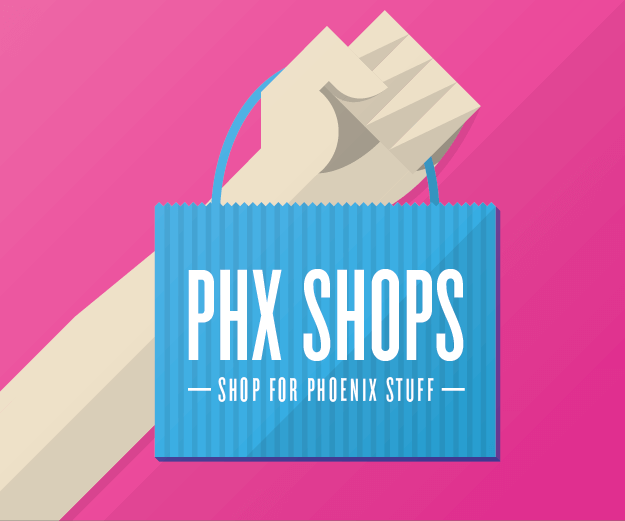 Over the past century, many of the warehouses of Phoenix have been either demolished or disappointingly modernized. All too often, they acquire a regrettable aura of Brutalism reflecting the utilitarian design of structures like Symphony Hall and its surrounding skyscrapers. The School of Art’s move comes as a new dean prepares to lead ASU’s Herberger Institute for Design and the Arts beginning July 1. 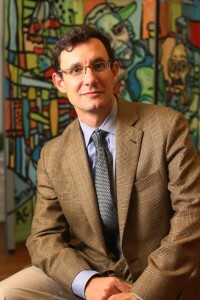 Steven J. Tepper comes from positions at the Curb Center for Art, Enterprise, and Public Policy and Vanderbilt University, where his research and teaching focus on creativity in education and work as well as conflict over art and culture. Graduate painting and drawing programs will move downtown with the Step Gallery, followed by sculpture, fibers, and intermedia, ultimately occupying 26,232 square feet including plenty of mouthwateringly spacious 250-square-foot individual studios. One large room, built in 1959, features a 15-ton A/C unit and seven studios with LED lighting and no ceilings, allowing vast expanses of natural sunshine through overhead windows. 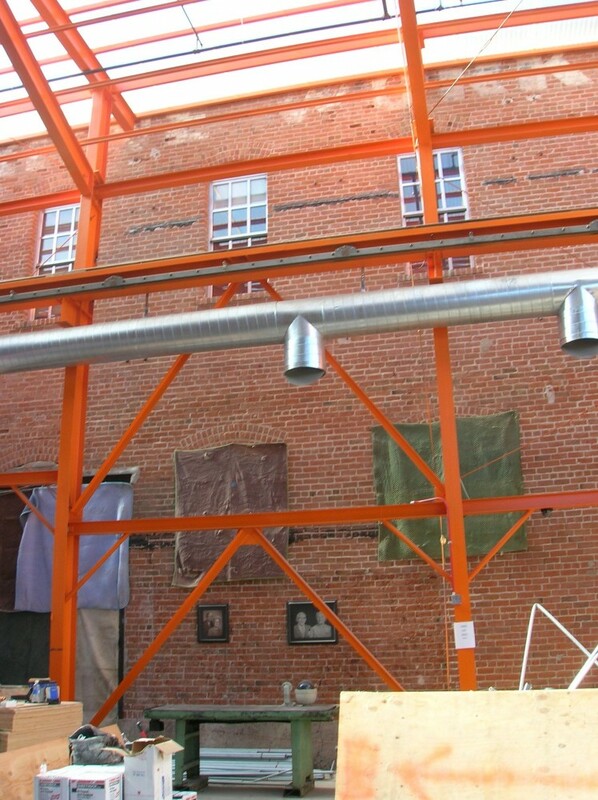 Levine, who fabricated a Batmobile and a steampunk balloon for his family in the warehouse, has found it somewhat painful to give up his own “dream” creative space to provide fire egress for the new ASU construction. ”It was like the worst seller’s remorse I’ve ever had, because this is the perfect studio,” he says with a sigh, still grinning. 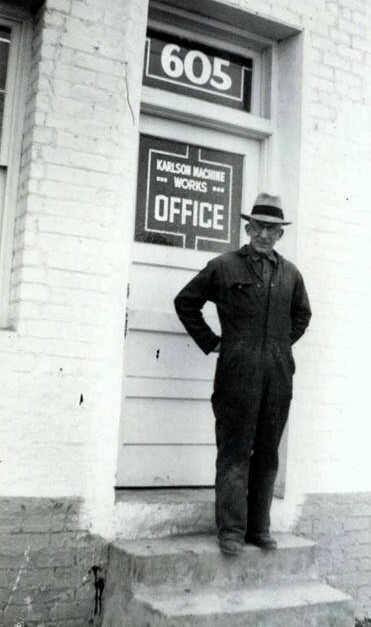 “Having two cranes is like having two employees…two employees I don’t have to talk to.” He’ll move Levine Machine into the oldest warehouse in Phoenix: the Seed & Feed building at 411 South Second Street, built in 1905 by Swedish immigrants. 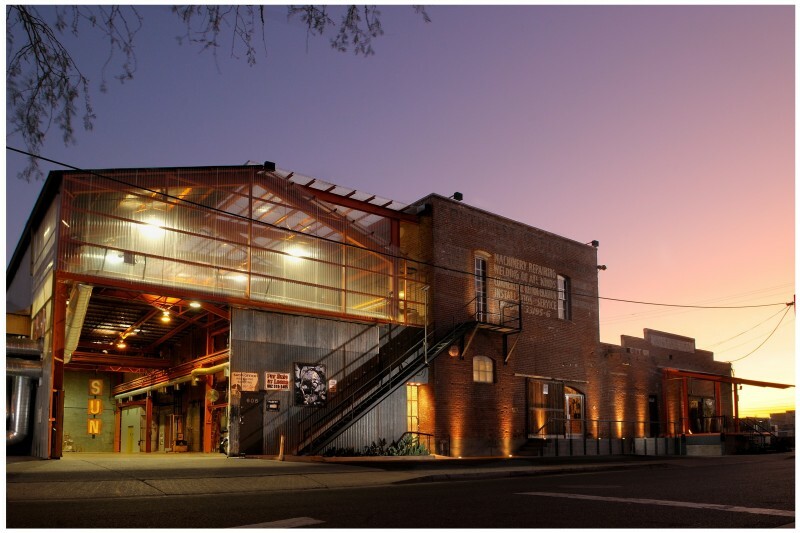 His other renovation successes include The Duce (at 525 S. Central), Arizona Cotton (at 215 S. 13th St.), and Bentley Projects (at 215 E. Grant St.), along with the 2007 grand prize in the Arizona Governor’s Heritage Preservation Awards. 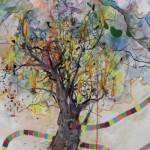 Levine attended art school himself, studying architecture and drafting. He moved to the Valley 23 years ago and established his AAARDVARk AARMAdILLO Corporation for design and construction. 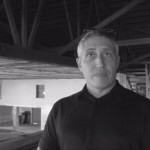 As he points out features of the warehouse, Levine’s boundless enthusiasm for industrial restoration is palpable. “This site’s really interesting,” he says, pointing toward the southwest area of the property. 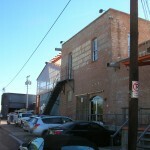 “The back corner…goes back to 1895 as the Phoenix Cotton Oil Company.” Levine gestures toward Grant, indicating original windows and concrete openings. 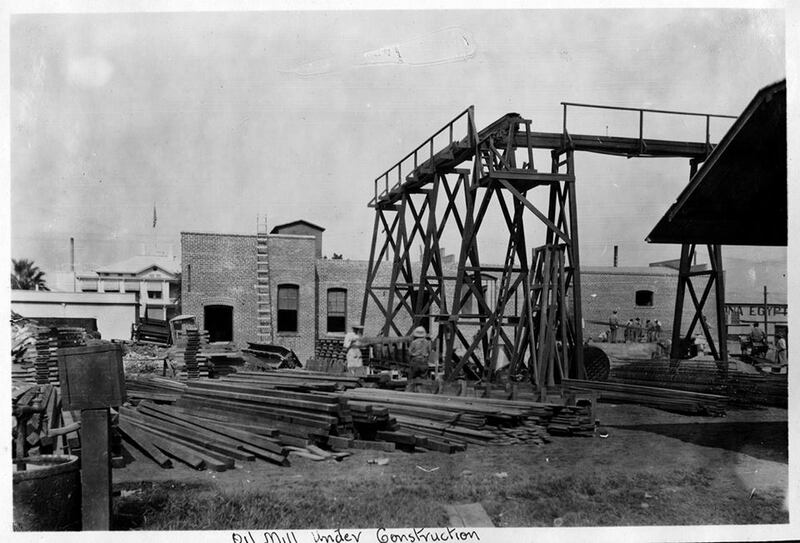 “This corner building was built [around] 1909…this was McCall Cotton.” As Phoenix grew, so did the warehouse. 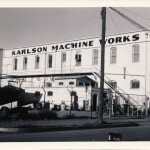 Levine learned that Andrew Karlson, an undocumented Norwegian immigrant and the first certified welder in Arizona, worked on the Roosevelt Dam before purchasing the warehouse in 1943, according to his granddaughter Mikelene Karlson. 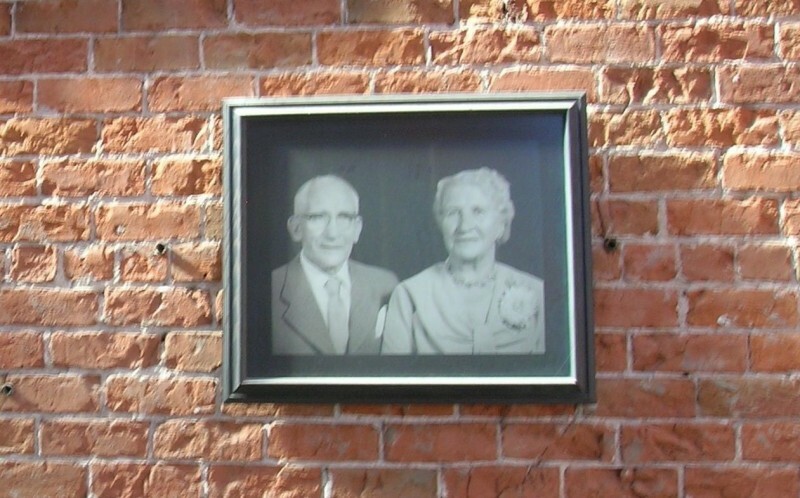 In tribute to the longtime owner of Karlson Machine Works, Levine hung a black-and-white photo of Karlson and his wife Marie on one of the structure’s restored brick interior walls. 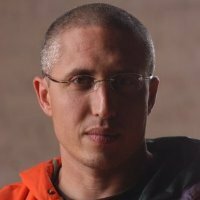 Update: An earlier version of this article referred to Michael Levine as an art teacher in Peoria, which is incorrect.